Conductor Donald Nally and chamber choir The Crossing have received three consecutive Grammy nominations. This year, their piece “Zealot Canticles” is nominated for Best Choral Performance. 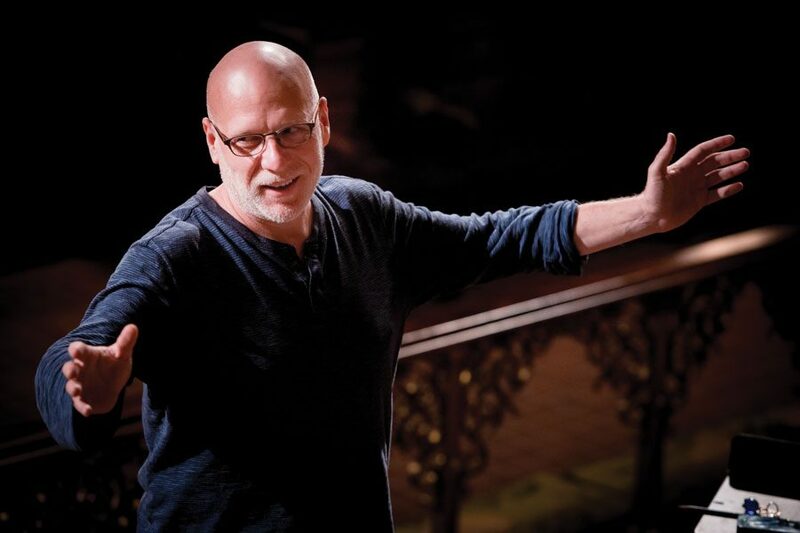 In the past three years, Philadelphia-based chamber choir The Crossing has received as many nominations for the Grammy Award for Best Choral Performance. Their latest Grammy-nominated piece is “Zealot Canticles,” a commissioned work composed by Lansing McLoskey. The Daily sat down with Donald Nally, conductor of The Crossing and John W. Beattie Chair of Music at Bienen, to discuss the creation of the piece and the upcoming Grammy Awards. The Daily: How did the work evolve from there? Nally: Over the next 5 years we kept talking about it and what it would look like, and eventually (McLoskey) expanded it. He wrote it for The Crossing, and now it’s an approximately 70-minute work for clarinet, string quartet and choir, based on the writings, speeches and poems of Wole Soyinka. The Daily: How does “Zealot Canticles” fit into The Crossing’s body of work? Nally: The Crossing does a lot of works that could be called social activism, responding to contemporary social themes. So this fits our ethos really well. It’s a piece that talks about this fine line between commitment and energetic devotion to a cause, and radicalism and zealotry. Quite frankly, we are seeing this throughout the world in really magnified ways, including here in the United States where we have these very strong divisions between schools of thought. The Daily: How does the classical music category fit into the bigger picture of the Grammy Awards? Nally: I’m really impressed with how organized and mobilized they are with classical musicians. Obviously, it’s not as big of a business as hip hop might be. Those guys get the evening ceremony with the televised show, and we’re in the afternoon on a livestream. But still, it’s pretty clear to me that they go out of their way to make sure that everyone who’s nominated or wins understands that they take this seriously. The Daily: How did you and the members of The Crossing react when you received the nomination? Nally: It’s very clear that we don’t do this to win awards. We’re really committed to making and recording new art that speaks to the world we live in, and discusses topics that don’t have easy answers. But at the same time, when someone pats you on the back, it feels good. Being nominated always causes a flurry of communication between all of us. The Daily: How are you feeling with the ceremony coming up? Nally: I’m just really excited to see the work get that recognition on a national platform, and it’s been amazing what it’s done in terms of exposure for us. It’s taken some works that I feel are important and put them on a national platform.